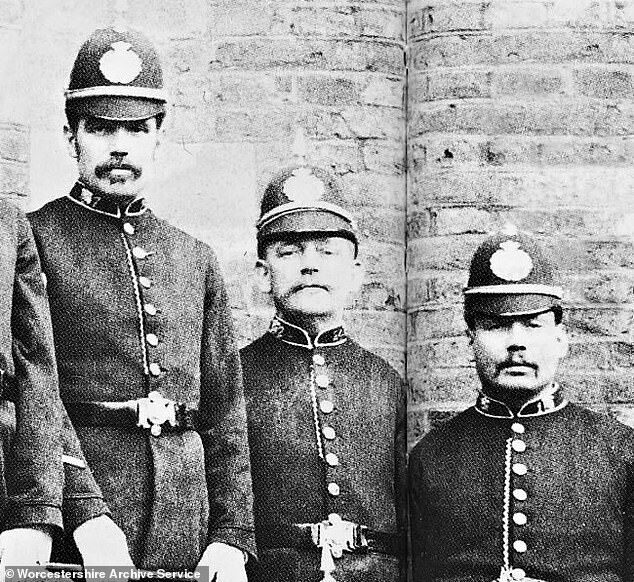 A police officer is actually following within the footsteps of his great-great-grandfather after he joined the identical drive and inherited his collar quantity. PC Richard Foulkes, 52, was tracing his ancestors when he got here throughout his relative who had been a Police Constable within the 19th century. He found his great-great-grandfather PC Dave Evans had served in West Mercia Police for 25 years after becoming a member of in 1885. To honour his reminiscence, PC Foulkes, a former detective within the Met Police in London, transferred to the drive to see out his profession. Bosses at West Mercia Police additionally gave him permission to undertake PC Evans’ collar quantity, 24, into his personal. 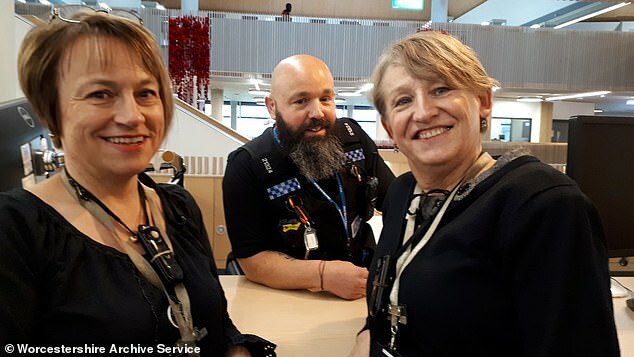 PC Foulkes stated: ‘This story is all of the extra particular and mawkish for me as I am initially from Newcastle Upon Tyne and have accomplished most of my 27 years’ service in London and had not identified connection to Worcester. ‘The principle cause I made a decision to switch to Worcester for my remaining final three years of service and get again into uniform as a Police Constable, is in honour of my relative’s reminiscence. ‘I actually need to stroll in his footsteps, sporting his warrant quantity. PC Foulkes was conscious his great-great-grandfather had been an officer however had no concept which drive he served in till he began looking his household tree. He made the revelation after poring over the information of previous officers in Worcestershire Archive Service. He stated: ‘I used the archive service to seek out out extra about him. They had been marvellous of their assist uncovering the historical past and previous information and most significantly what his warrant / collar quantity was. Information present PC Evans joined the drive on October 23, 1885 and served for 25 years. In a weird coincidence, PC Evans retired from the drive on PC Foulkes’ birthday. PC Foulkes stated: ‘This has been an incredible private, sentimental journey of discovery the place I discovered the archive workers there to be real, pleasant, constructive and beautifully useful.